On the left map, we grouped Trailers For Sale that are located close to each other into small circles. 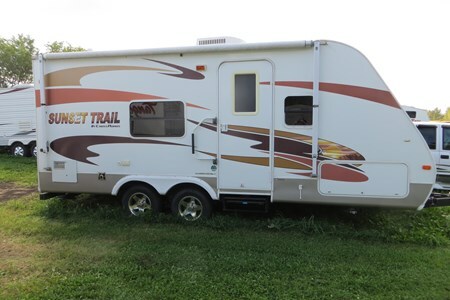 Now, you can locate all Trailers For Sale on the map at the same time. You can also drag & zoom the map. 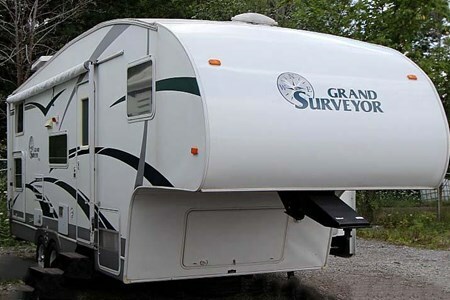 Circle numbers - Count of Trailers For Sale that are located in and around that circle. Colored circles - Trailers For Sale that are displayed in the list below. 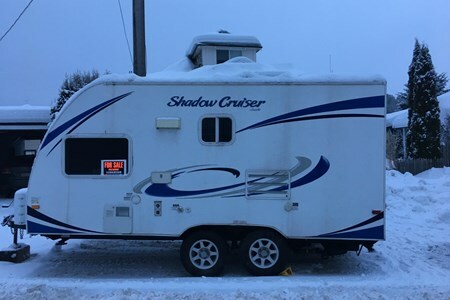 Grey circles - Trailers For Sale that are displayed on next page(s). Half colored circles - Some Trailers For Sale in that circle appear in the list below and some on next page(s). Click on circles to zoom in or highlight Trailers For Sale . 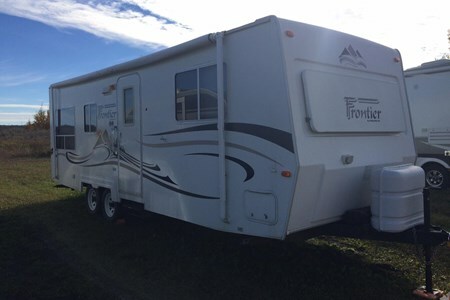 T259 Vangaurd Frontier Trailer in great shape. 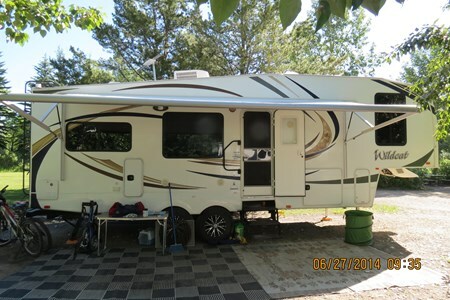 Trailer has AC/Propane fridge and freezer, large awning, queen bed, heater, air conditioning, and sleeps 6. 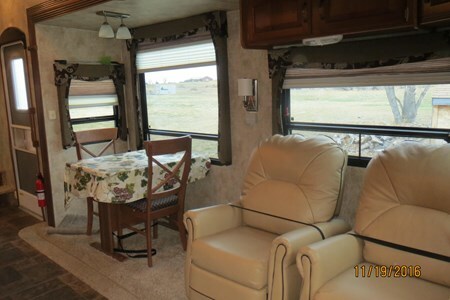 Unit has lots of interior ... moreand exterior storage. Interior condition is great and the lino in trailer is in great shape with no knicks, cracks, or bubbling. 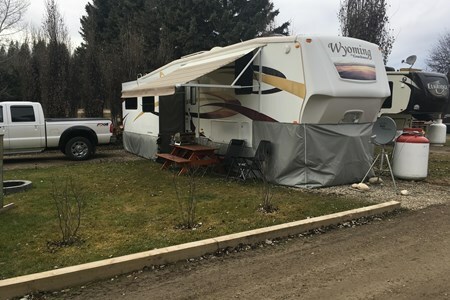 Trailer has always been properly winterized and plumbing has no issues. Towable with half ton truck. Full 98" long oak counter top and kitchen cabinets, with soft close doors. Even comes with curtains installed!! 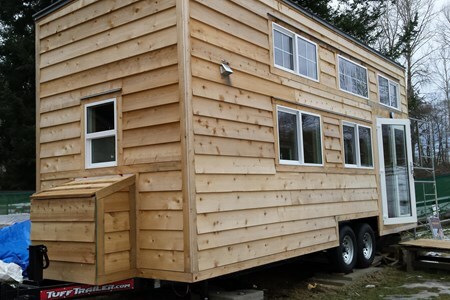 This home is built on a custom built "tuff trailer" duel 7000 pound axles. Too many features to list..
Home is built under the "oversize limits" (just)! 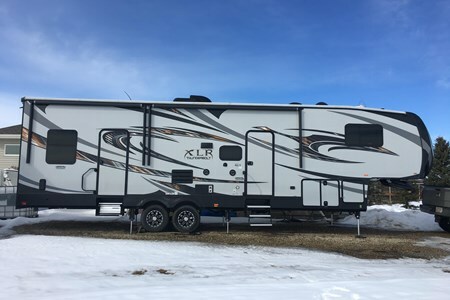 37 feet, 4 seasons, 3 slides Upgrades; G series tires with lighter aluminum wheels, fantastic fans in kitchen & bath, 5.5 KVA Onan generater with custom built gas tank to fit in ... morefront storage, high capacity batteries, 2 solar panels. Cherry wood interior with lots of cupboards/island, freestanding dining table, 40" TV in LR, fireplace, washer/dryer ready. This is set up for extended living. 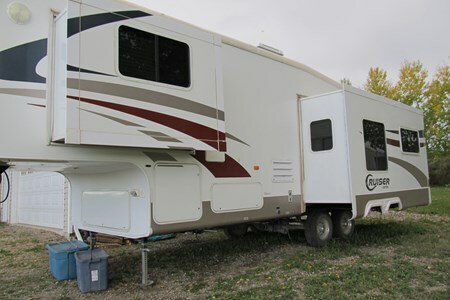 Four Season RV Trailer used 3 summer seasons in excellent condition. 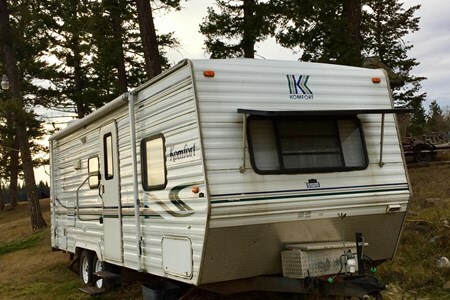 Sleeps 5 - 6, separate rear bedroom, 2 slides, power awning, solar panel, air conditioner, fridge/freezer, stove/oven, ... moremicrowave oven, 4 stabilizer jacks, 2 x 30 lb propane tanks, check plate bumpers, rear ladder, hard wall construction, am/fm radio & CD player, TV, skylights, 3 piece bathroom, Dry weight, 6870 lbs, GVWR 8500 lbs. Microwave Oven [approx. 30 lbs. There's a cargo access door that leads into the rear area that has 2 bunk beds. This is a beauty of a unit. No toys have ever been hauled in it other then our family pedal bikes so no gas fumes. Very well kept and is in great shape. Lots of extras added. Dual solar panes, Back up and side camers with interior garage camera w/monitor. Monitor needs instalation with wiring in truck if desired. Satalite & amp; upgraded sound system. Pillow top queen mattress for master bed. Reason for selling is were looking to down size a bit. Pulled no problem with a 2005 dodge ram 3500. Pls copy and paste links below for all specs and layout. Video walk through and around can be viewed at the links below. Here is the link to the exterior walk around. 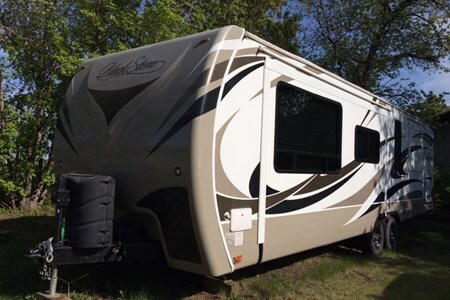 Bought fully loaded (all amenities, full bath, walk around queen bed up front, outside BBQ incl that hooks to main propane & tons of storage space) new in 2004, used a few years ... morethen parked under cover when we moved to a lake house. Last 2 yrs we pulled it down by the house (no cover) and just use it as a dry, spare room when company visits a few times a year. 26' aluminum frame so nice and light to pull. No leaks, no issues. Everything works. Bunk beds are big enough for adults but also swing out of the way for storage with rear access door. Kitchen and couch slide out. Queen at front, double at back with single bunk above. Couch folds down, as does table for more sleeping. Fridge with separate freezer, microwave, stove, ... moreoven. Tub in the bathroom. Outside shower, awning, bbq. New hot water tank and control board. 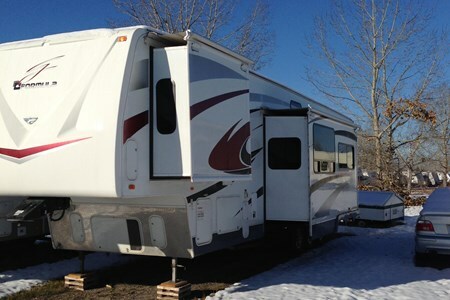 Great Fifth wheel for sale, second owners, 2 slides, ducted AC & heat. Lots of storage. Newer batteries (6Volt), propane tanks (30lb) and tires. Sleeps 4. TV, DVD player, Surround ... moreSound. All manuals included. Fantastic Fan / Maxxair covered vents. Has always been in covered storage since we've owned it (5 years). 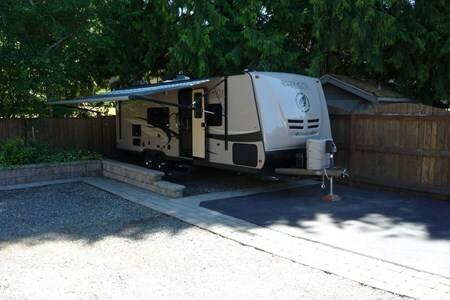 Beautiful, luxurious 26' travel trailer that sleeps 7-8. Take your family plus some friends if you want! Outdoor kitchen, huge awning with outdoor led lighting! 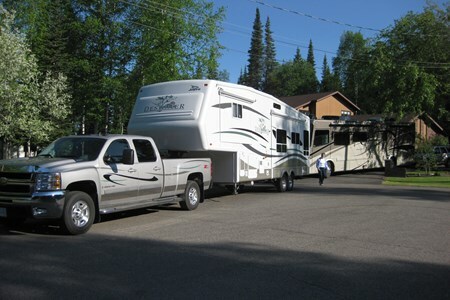 Large slideout opens ... moreup the trailer floor space to allow for tons or room to move around and have a fun, relaxing trip. 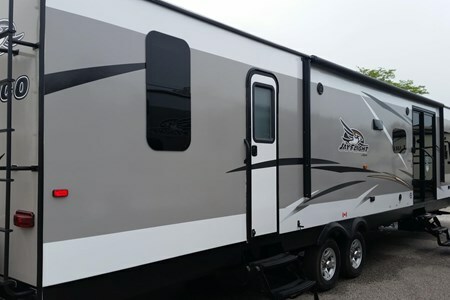 Pictures don't do the trailer justice. Much nicer in person. Please contact me with any qestions you have. Thanks for looking!! **There is some cosmetic damage to the left side of trailer. Shown in pics. Took the trailer to the dealership and given the green light that it is all cosmetic and no damage otherwise. Trailer is fully functional. I have priced accordingly. 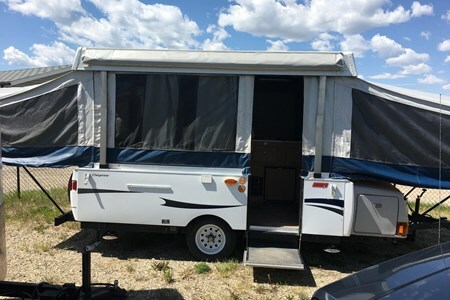 2007 Sunset Trail by Crossroads hardwall aluminum framed model ST19CK Hard to find deluxe model with a full size queen bed not the RV queen..perfect trailer for a couple, and the dinette ... morealso folds down for another sleeping space. 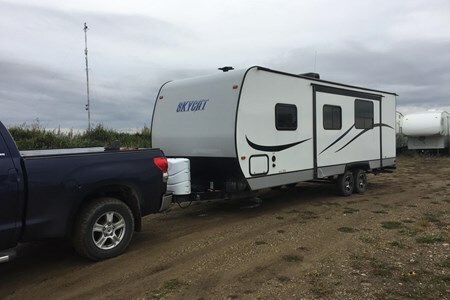 Trailer has AC, outside shower, laundry chute, loads of storage in the pass thru cargo area accessible from the outside either side. 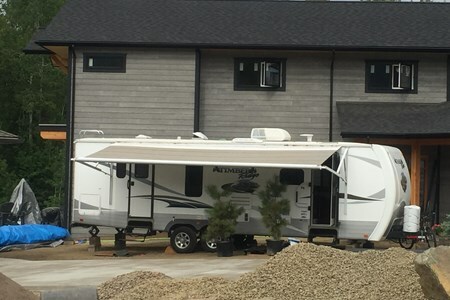 The awning is 14' long, and Maxi vent covers have been installed. The bathroom is across the back of the trailer with tub/shower, skylight and loads of cupboards. Dry weight is 3,410 lbs. 1/2 ton towable. 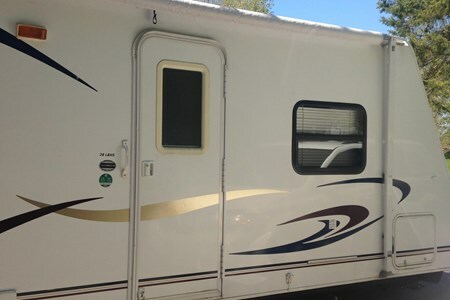 No smokers or pets, this seldom used unit must be seen to be appreciated.. $12,500. Purchased the extended warranty package with warranty until 2022!